The schedule of major new game releases has calmed down a little as the gaming industry recovers from its post-E3 hangover, but there's no rest when it comes to GPU vendor driver development. AMD have released Radeon Software Adrenalin Edition 18.6.1, notationally for improved Warhammer: Vermintide 2 support but also to incorporate issue fixes into the live driver stack. 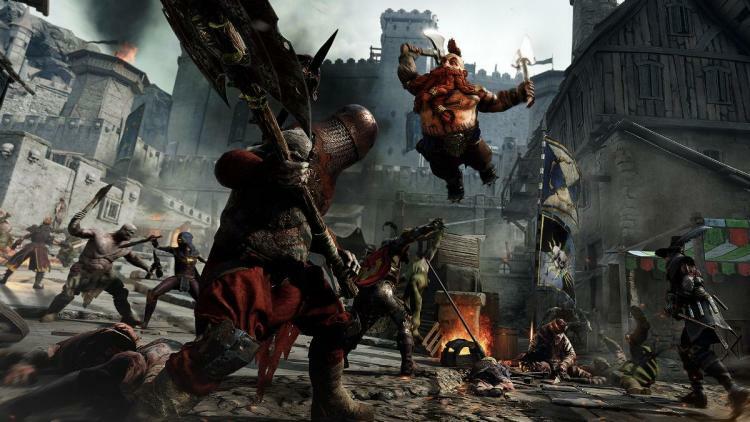 In this driver release - the first major release for June - AMD have outlined performance improvements of up to 10% in Warhammer: Vermintide 2, measured on systems equipped with either Radeon RX Vega56 or RX580 GPUs at 1440p. That's compared with 18.5.2, and is a pretty big step up in a single title over the course of just one release revision, speaking to how many performance-focussed improvements are typically game-specific these days. The fixed issues section is a sight more comprehensive. It's always nice to see a healthy array of bug-fixes in any driver release, and this one addresses problems experienced by users in Subnautica and Sea of Thieves, as well as a few niggling ailments experienced by multi-GPU users. As with every driver release, AMD have also published a hit-list of newly identified bugs that are next in their sights. These include screen corruption problems in The Witcher 3, texture corruption in Sea of Thieves, and unexpected behaviour from Radeon ReLive Instant Replay, Radeon Overlay and Radeon Chill. You can download the Radeon Software Adrenaline Edition 18.6.1 for 32 and 64-bit versions of Windows 7 and Windows 10 at https://support.amd.com/en-us/kb-articles/Pages/Radeon-Software-Adrenalin-Edition-18.6.1-Release-Notes.aspx. These drivers are compatible with Radeon HD7000-series through to Radeon RX Vega-series desktop graphics. - Subnautica™ may experience a black screen on launch or during gameplay. - Sea of Thieves™ may experience a crash or hang while playing in the Cannon Cove area. - Desktop may not be visible or may appear out of the display area when using 8K resolution on Radeon Pro Duo. - World of Tanks™ may experience square corruption on some ground textures in multi GPU system configurations. - Middle Earth: Shadow of War™ may experience flickering in some game menus or when configuring displays when using multi GPU system configurations. - World of Warcraft™ may experience flickering on the mini map in multi GPU system configurations. - Some games may experience minor stuttering during gameplay when the Radeon ReLive Instant Replay feature is enabled and FRTC is also enabled. - Radeon Overlay may not show all available features when some games are run in borderless fullscreen mode. - The Witcher™ 3: Wild Hunt may experience stuttering during gameplay. - Corruption may be experienced with OGL or Vulkan™ API applications on some Hybrid Graphics system configurations. - Sea of Thieves™ may experience corruption on ship sails or ropes while standing on a boat. - Radeon Chill may experience lower than expected minimum frame rates if a game is left idle with Radeon Chill enabled for extended periods of time. (1) Testing conducted by AMD Performance Labs as of June 12, 2018 on the 8GB Radeon RX Vega 56, on a test system comprising of Intel i7 7700X CPU (4.2 GHz), 16GB DDR4-3000 Mhz system memory, and Windows 10 x64. PC manufacturers may vary configurations, yielding different results. With extreme preset settings on Warhammer: Vermintide 2, at 2560x1440, the Radeon RX Vega 56 scored 66.4 FPS with Radeon Software 18.5.2, whereas the Radeon RX Vega 56 scored 72.2 FPS with Radeon Software 18.6.1. Comparing FPS between software versions, Radeon Software 18.6.1 has 9% faster performance in Warhammer: Vermintide 2. Performance may vary based on use of latest drivers. (2) Testing conducted by AMD Performance Labs as of June 12, 2018 on the 8GB Radeon RX 580 (8GB), on a test system comprising of Intel i7 7700X CPU (4.2 GHz), 16GB DDR4-3000 Mhz system memory, and Windows 10 x64. PC manufacturers may vary configurations, yielding different results. With extreme preset settings on Warhammer: Vermintide 2, at 2560x1440, the Radeon RX 580 (8GB) scored 48.0 FPS with Radeon Software 18.5.2, whereas the Radeon RX 580 (8GB) scored 53.0 FPS with Radeon Software 18.6.1. Comparing FPS between software versions, Radeon Software 18.6.1 has 10% faster performance in Warhammer: Vermintide 2. Performance may vary based on use of latest drivers.